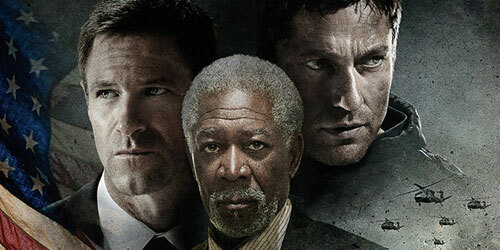 Olympus Has Fallen in theaters everywhere now! In this week’s edition of The Confirmed Epic Podcast we review Antoine Fuqua's latest film Olympus has fallen. We also cover the EPIC new items of the week: HBO Go for every one, 1966 Adam West digital Batman comics, and Independence Day sequels. We also get into what we have been checking out this week: GI Joe Retaliation figures, Grant Morrison's Batman Incorporated Volume 1, Prometheus on Blu-ray, and the Evil Dead trilogy.